Research regarding the long and short term effects of dental materials has been going on for many years. Despite this research, many dentists continue to use dental amalgam which contains high levels of mercury and several dental associations around the world still stand behind its use. The Smile in Style team is proud to be included into the category of mercury free dentists in the Melbourne area. Care from a mercury free dentist makes sense for several reasons. A mercury free dentist does not restore teeth with amalgam filling material, favouring instead composite resin, or porcelain which offers several advantages. Years of research into dental amalgam have uncovered several concerns with the level of mercury released from these fillings which have been linked to numerous health conditions. Mercury is a substance that is known for its toxic properties. The use of mercury has been banned in many consumer products in various countries. And yet, half of every amalgam filling by weight, is mercury. The continual leakage of mercury from amalgam fillings into the body can affect our ability to remain healthy. This neurotoxin inhibits the normal functioning of the nervous system. It also increases the risk of illness by promoting antibiotic resistance while diminishing the actions of the immune system. Research shows that mercury encourages fungal and bacterial growth, including several species of Candida, staphylococcus, and streptococcus. Mercury is a poison, and poison has no place in the body. Findings from a research study at the Karolinska Institute of Sweden indicate that metal in the body, such as dental fillings, tends to produce allergic responses in most people very soon after insertion. At the top of the list of metal allergies is mercury. 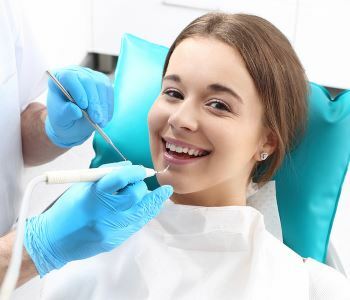 Dentistry has evolved a great deal over the years, producing new and improved ways to sustain oral health and repair damage with strong, metal-free materials. As there are many options now available for metal-free restorations, amalgam is unnecessary as a choice of material for dental restorations. Smile in Style, with offices in Moonee Ponds and Sunbury, provides a high standard of dental care that takes the whole body into account. Give your family the best dental care available. Contact our office for your visit today. Sunbury Phone 03 8001 6021 and Moonee Ponds 03 8400 4104.